Most recent addition is the 169-acre Wayne R. Baumann farm in Sweden Township. The development rights were purchased for $169,060. 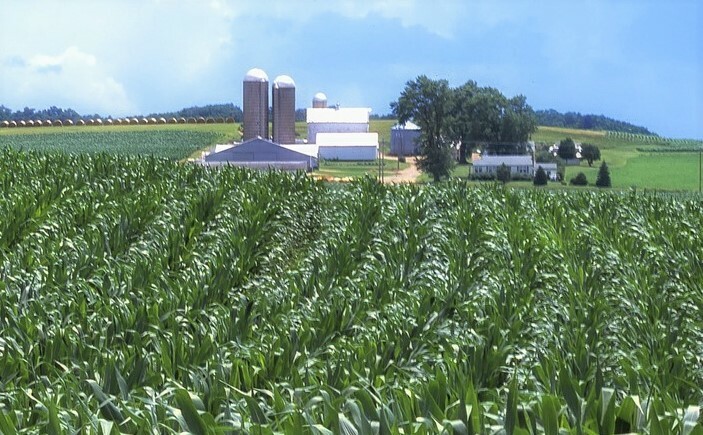 Potter County’s Farmland Preservation Program has now paid landowners more than $990,000 for easements on 1,305 acres spread out over eight farms. State funding for the program has been significantly cut in recent years, with the vast majority being committed to counties in the southeastern part of the state where development demands are strongest. Despite the state cuts, the Potter County Commissioners have maintained the county’s yearly contribution to the program. There remains a waiting list for the program in Potter County. More than five years passed after the seventh acquisition, which encompassed 152 acres on the Harold and Delia McCutcheon farm in Harrison Township. Guidelines require that easements be at least 50 acres, although counties can elect to lower the requirement to 35 acres. The program is administered by the Potter County Conservation District and directed by a board appointed by the commissioners. Farms are chosen on the basis of quality as well as stewardship – use of conservation practices and best management practices of nutrient management, as well as erosion and sedimentation control, proximity to water, and extent and type of non-agricultural development nearby. Payments are determined by assessing the market value and agricultural value of the land. The difference between those two figures is the maximum value of the easement. Other easements have been purchased from Galen and Helen Snowman in Sweden and Homer Townships; Albert and Erma Mitchell and Frank and Shirley Mitchell, both in West Branch Township; Charles and Bernita Douglass in Hector Township; Allen and Ruth Ann Long in Pleasant Valley and Roulette townships; and John and Karlene Peet in Hector Township. For more information, contact Potter County Conservation District office at 814-274-8411. Farmland Preservation Board members are Sara Gilliland (chair), Eugene Supplee, Bill Grandin, Bart Ianson and Jim Lane.